Scroll down for options and pricing. Add to cart and enter zip code for a shipping quote. 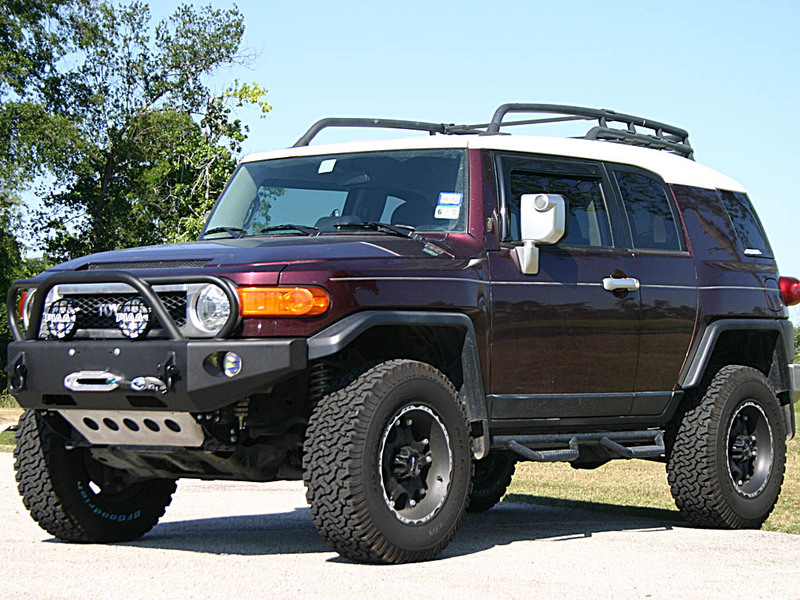 If you like to play hard in your Toyota FJ Cruiser, it's time for some serious protection. 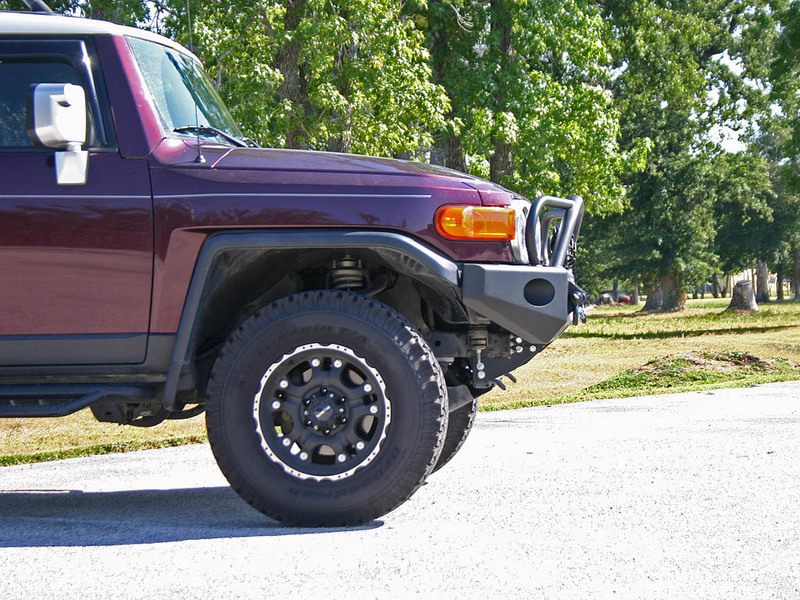 The low hanging, plastic factory bumper will kill your approach and get ripped off as soon as it comes in contact with a rock or rut off road. 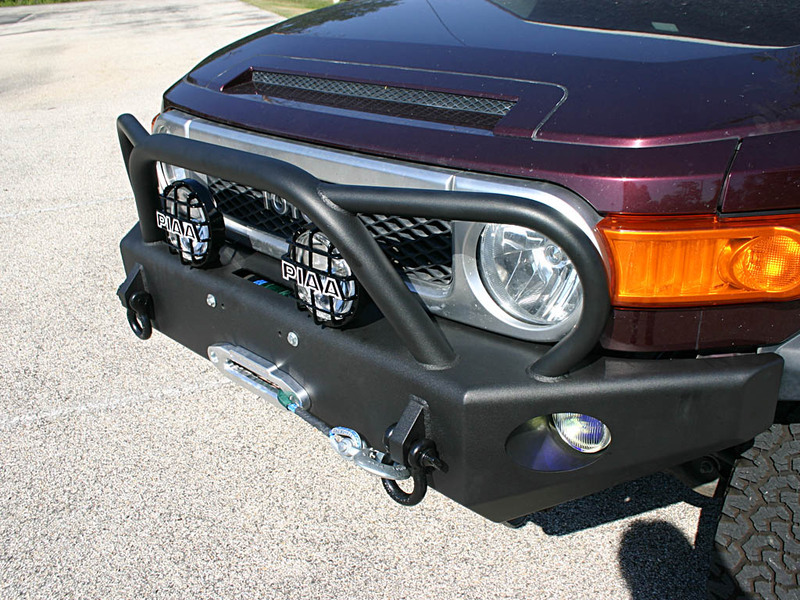 Don't waste your time with a brush guard or grill guard. They often cause more damage than they prevent after a hard knock. 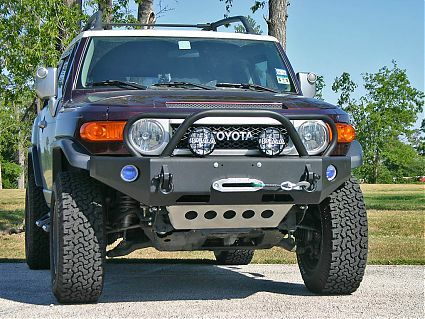 A full replacment steel bumper is the way to go. You can bolt on some real armor up front and get a spot for your winch as well. You're looking at the best bumper on the market for your FJ Cruiser. Like all ShrockWorks products, it is computer designed in 3D CAD, laser cut and CNC formed. From there, it is hand fit and welded by skilled craftsmen, here in Houston, TX, one at a time just how you want it. Our bumper is also very strong. The main shell is made from 3/16" HRP&O plate steel. The internal structure and bracketry is made from 1/4" plate and the recovery tabs are 1" thick. Despite the strength, many hours at the CAD computer kept the weight down to 110lbs. 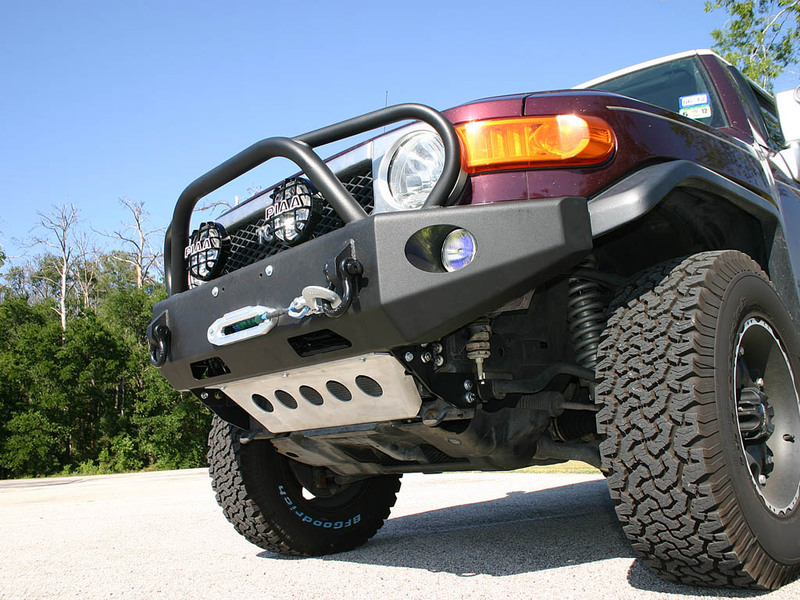 No suspension modifications are required to mount this bumper. 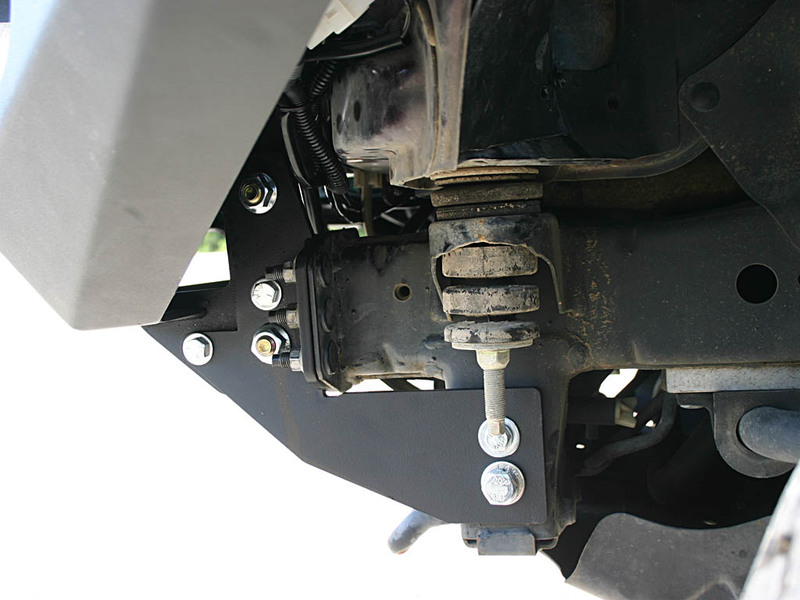 2010-2014 models require relocation of the factory windshield washer fluid reservoir. 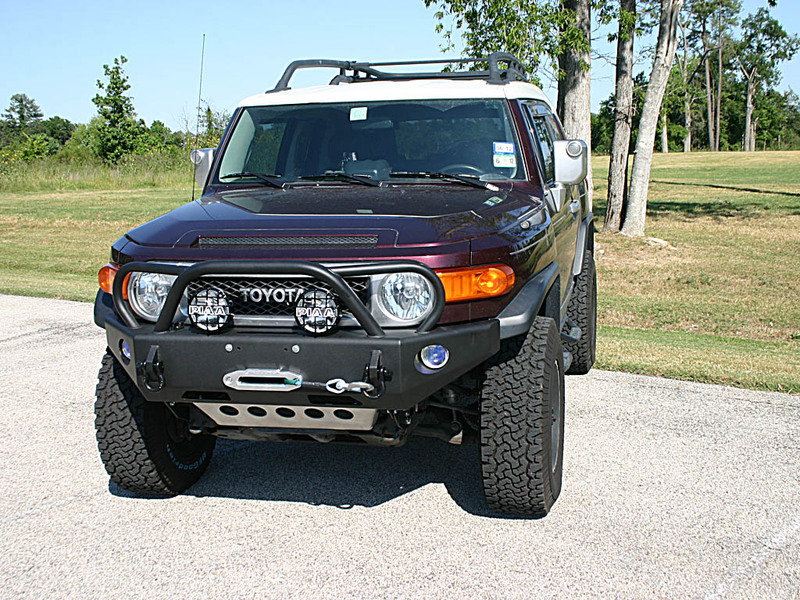 We have a kit available for the 2010-2014 FJ Cruiser to relocate the windshield washer fluid reservoir up into the engine compartment. You can read more about it here. This product is shipped as truck freight. 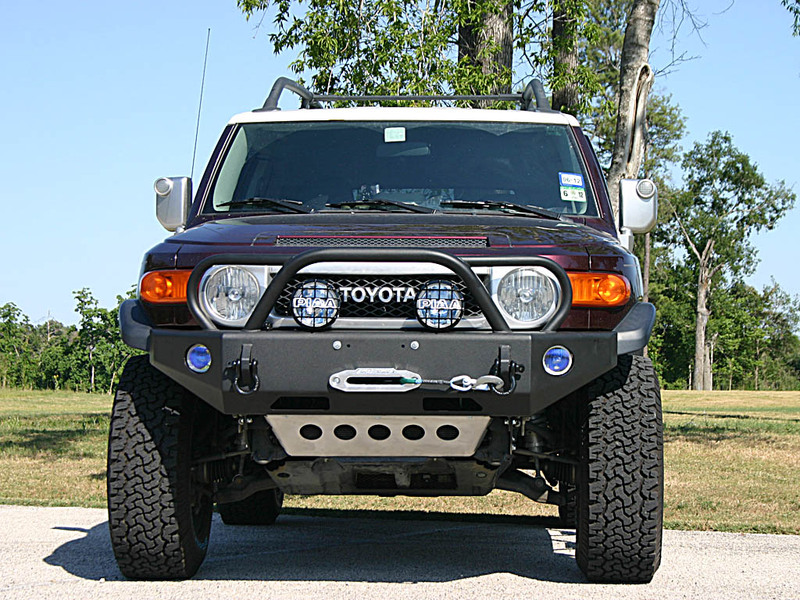 I am still holding out for a Shrockworks front bumper for my 2006 Toyota Tundra. 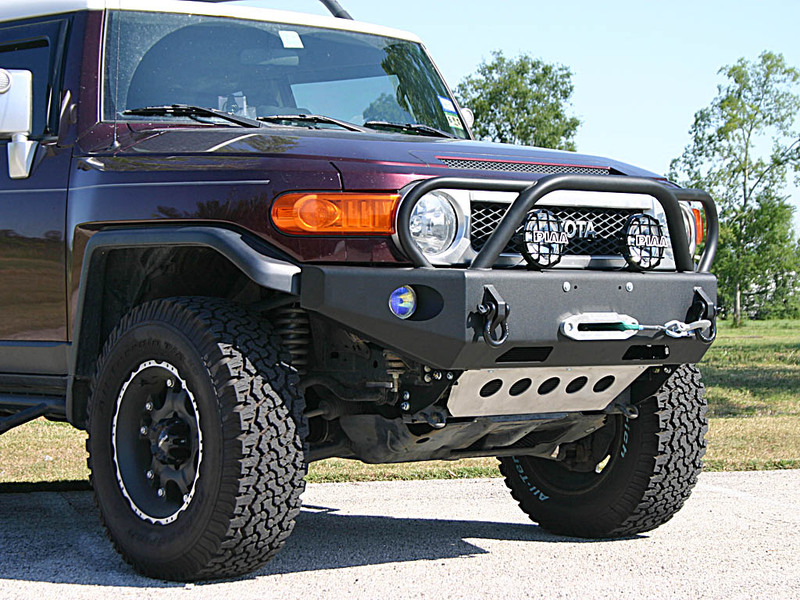 You all have the best looking bumpers on the market, by far. Can you please let me know if one is in the works?